Are Outdated Smartphones Dinosaurs or Relevant Tools? If you’re like me, you’ve most likely lived through a decade of smartphone iterations. From the very first iPhone [which today could probably be considered an official antique] to iPhone6 Plus, the number of phones you’ve acquired in between was dependent on your pocketbook and FOMO [fear of missing out] on the latest thing. So, are any of those old devices now stored in your dresser drawer still relevant or have they seen they’re better days? After all, some of those early models don’t even move the needle on eBay. However, before you think about discarding your outdated smartphones or turning them into a paperweight, you might want to consider the life that’s still left in them— and how they can be repurposed. Here are a few ideas to get that proverbial ball rolling. 1- Set-up a Home or Office Music System. . .
Just because you can’t use that phone to place calls anymore, doesn’t mean you can’t benefit from its sound system capabilities. In fact, you can easily transition that device into becoming a control center for that system. All you have to do is connect it to a set of speakers where you can stream music from either a micro SD card or through a streaming music service like Spotify or Pandora. 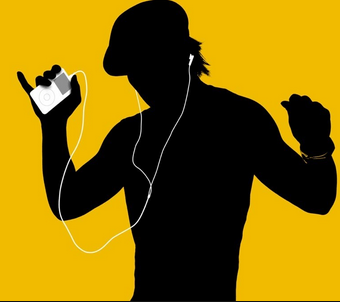 For all the music you’ve already stored on your iPhone or Android, you can also use it as a defacto iPod. Podcast apps, and DJing apps can easily be obtained as well from respective app stores. So consider downloading a few and taking them out for a test run. And if radio listening is more to your liking, check out the number of apps that will stream any time of music genre you prefer. 2- HUD system for your Car. . .
You might ask: What’s a HUD, and if I don’t know what it is, why do I need it? A HUD is a ‘head-up display’ that enables drivers to see pertinent data without being distracted. This is great tool particularly for folks like myself whose vehicle may not be equipped with this technology. Drivers receive read-outs such as speed, warning signals and indicator arrows for navigation, without looking down to the instrument cluster or a secondary display. 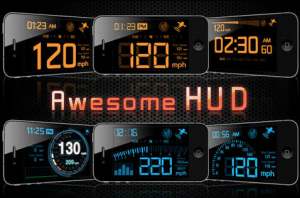 All you have to do is check out the free HUD apps available for either Androids or iPhones [Navier HUD Navigation Free app, Vision HUD and Car HUD at Google Play and Awesome HUD and aSmart HYD+ for iOS users.] After installing and firing up the app of your choice, simply place your smartphone on the car’s dash, and its reflection on the window will serve as a distraction-free means for navigation. You don’t need to invest hundreds of dollars in a full-blown commercial home or office security system. Your old smartphone is a viable option, where you can set it up as a motion detection-based security camera. Yes, there’s an app for that as well. 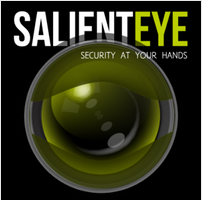 Android users can download the SalientEye App from Google Play. 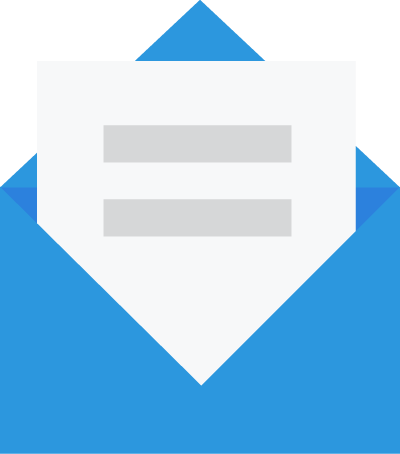 Once installed, it will trigger alarms when a break-in occurs and it will actually send you photos via email and SMS messages when intruders have been detected through the app’s motion detection feature. For iPhone users, AirBeam is a solid option, as well. Want to approximate what professional photographers use to light a scene. With an ingenious add-on called Luxi, you no longer ha ve to experience those under-over exposed photos. 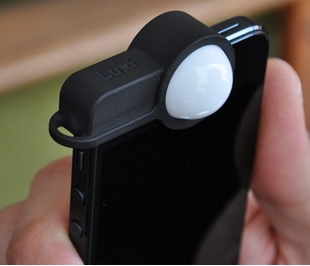 This device allows you to repurpose your iPhone as a light meter. Luxi fits nicely over the front facing camera of your iPhone 4 or 5 and provides you accurate light readings of the surrounding area. The app is available at iTunes and the Luxi dome accessory, and can be purchased at ESDevices.com for approximately $30. So never say die. . . In conclusion, while the dinosaurs may have become extinct, there’s no need to believe your outdated smartphones have followed suit. Their functionality can live on another day, in a whole new set of repurposed ways. So pull them out, dust them off and see if your old handset can’t complement your everyday life in 2015.